My brother always got the 200's and I always got the 25's. I had various versions of these over the decades, including the English versions, called "Touring." Used to love this game. A classic! 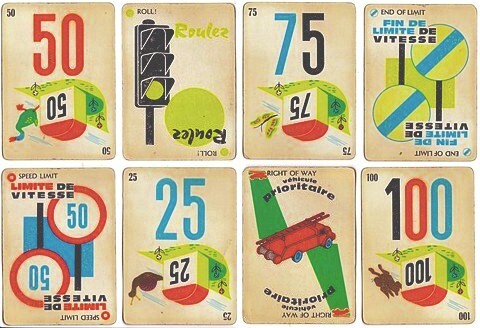 My brother and I had a set and we played Mille Bornes for years and years growing up. Mille Bornes is still around but the cards look different and the nifty plastic card holder is gone.